ATTENZIONE: Non trasmette nessun automatismo. Funziona allo stesso modo del Leitz/Leica adapter 22228. Realizziamo su richiesta altri terminali tipo Nikon, Pentax, CONTAX, vite 42x1 chiedere. 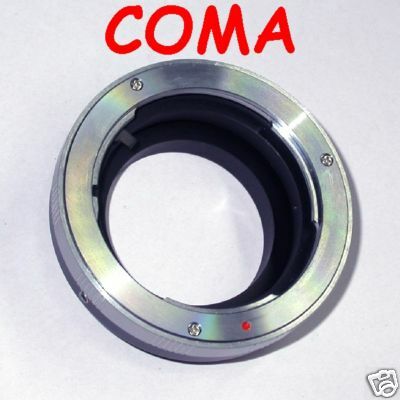 Adapter in order to mount on the telemeter cameras type: Leica L39 Woitglander etc etc having thread screw 39x1 , the optical with graft to screw Olympus OM (manual focus srl). We realize if asked other terminals type Nikon, Pentax, Contax , M42 . Ask.